SANTA MONICA, Calif. [January 22, 2019] – Take advantage of Southern California’s winter weather with a trip to Santa Monica this season. Temperatures in the mid-60s, hotel deals, and thinned-out crowds make it an ideal time to visit Los Angeles’ beachside city. Heading into 2019, Santa Monica has a host of new buzzed about restaurants, unique shops, hotel offers and cultural experiences. Read on for some of the latest ways to experience the city by the sea in the new year. Azulé Taqueria (Downtown Santa Monica) – The Galley Food Hall, a popular culinary destination on Third Street Promenade, welcomed Azulé Taqueria, a beach taco spot. The taqueria pays homage to authentic beach tacos made simply with respect for the ingredients and the process. Created by K2 Restaurants, a group of creative culinary storytellers, the menu includes organic beach tacos with a modern twist, paired with sides like Third Street Eloté and Queso Fundido, homemade churros and seasonal aguas frescas. Blue Bottle Coffee (Main St.) – Blue Bottle Coffee, a coffee-chain founded by James Freeman in Oakland, California, has opened a new location on Main Street inside the Edgemar, the mixed-use shopping center designed by Frank Gehry. A self-declared coffee lunatic, Freeman hand-roasted beans in a 183 square-foot potting shed and then delivered them to friends from his Peugeot wagon. Fifteen years later, Blue Bottle is now a network of cafes in nine cities in the U.S. and Japan. Delightfully, the company continues to grow, but remains united by the simple purpose of sourcing and roasting the world’s best, most sustainable coffees and serving them at peak deliciousness. BOA Steakhouse (Pier/Ocean Ave.) – BOA Steakhouse, a modern American steakhouse with ocean views, has completed a multi-million-dollar renovation led by the efforts of partner Philip Cummins and the design team at Innovative Dining Group. The refresh includes significant exterior and interior updates to give the restaurant a fresh, classic “beach house” look that pays homage to the surrounding environment given its tranquil beachside location. Heroic Deli (Downtown Santa Monica) – Heroic Deli, an Italian sandwich shop, has opened its doors in Downtown Santa Monica. Adam Fleischman, the creator of Unami Burger and 800 Degrees, has teamed up with award-winning Roman Chef Barbara Pollastrini to reinvent the classic Italian Hero sandwich. Heroic Deli combines the finest imported Italian Salumi, Prosciutto, Mortadella, other premium cuts and chesses with the freshest local California produce and serves them on warm, freshly baked bread to provide a next-level sandwich experience for adventurous eaters. Ippudo Ramen (Downtown Santa Monica) – World-renowned noodle shop Ippudo Ramen has opened a Santa Monica location, just a block off the bustling Third Street Promenade. Ippudo Ramen is one of the most recognizable ramen brands in the world, having done years of big business in Japan before moving to the U.S. and opening in New York City. Thrillist has called Ippudo Ramen one of the best new restaurants in Los Angeles. Koala Matcha (Wilshire Blvd.) – Koala Matcha is a new Aussie-style beverage café operating out a pick-up window attached to Gramercy restaurant on Wilshire Boulevard. Started by Australian native Monica Foley, the café sells handcrafted iced matcha lattes infused with collagen to help fight aging and plump the skin. With a recipe created and perfected down under, Koala Matcha brings the Aussie way of enjoying green tea and the secret to glowing skin to California. Paperboy (Downtown Santa Monica) – Paperboy, an innovative take on the classic pizza joint, has debuted in the food court named The Gallery at Third Street Promenade. Dishing out thin crust pies and twists on classics, Paperboy is a no fuss pizza joint for those who appreciate maximum quality. From restaurateur Jeremy Fall, Paperboy serves up thin crust pies and twists on classics with beer and house-made wine coolers. Prima Cocina (Montana Ave.) – Prima Cocina, a Baja-inspired restaurant, has landed in the Montana Avenue shopping district. A reflection of the spirit and essence of Baja, California, Prima Cocina’s menu blends elements of the deep culinary heritage of mainland Mexico with the lighter ocean-inspired, unique coastal cooking of the Baja peninsula, fused with the natural, produce-driven approach of California cuisine. Vibrant fresh herbs, smoky dried chilies, fresh seafood, bright salads, savory tacos, and a focus on grilled food express these regional inspirations. Silverlake Ramen (Downtown Santa Monica) – Los Angeles’ popular Silverlake Ramen has opened a new location steps from the beach along Third Street Promenade. Featuring traditional ramen with natural ingredients, the menu includes a variety of bowls along with appetizers like crispy rice with spicy tuna, homemade pork dumplings and crispy chicken karaage. The Rooster (Mid-City) – The Rooster, a new farm-to-table eatery, has opened in Mid-City along Santa Monica Boulevard. From Chef Bruce Marder, known for his work on Capo, Marvin and Cora’s Coffee Shoppe, the all-day restaurant and bakery is serving New American organic cuisine. The breakfast and lunch menus include pastries, frittatas, oven-baked flatbreads, salads, and pizzas. On the dinner menu you’ll find family-style dishes cooked over a wood-fired grill such as prime rib chop, swordfish paillard, and bone in grass fed filet. Wally’s Santa Monica (Wilshire Blvd.) – Wally’s Wine & Spirits has moved beachside to Santa Monica. A trailblazer in the beverage and culinary scene, Wally’s Santa Monica is located in a 9,000 square-foot space across from the Fairmont Miramar Hotel & Bungalows in the heart of downtown. The world-class concept features a cheese shop and a wine and spirit retail store within an elegant yet casual restaurant setting. With a first-class selection of rare wine and spirits, extraordinary gourmet fare from chef David Feau, and a list of over 100 wines by-the-glass to explore, Wally’s is a journey to the world’s finest vineyards. Apple (Downtown Santa Monica) – The Apple store on Third Street Promenade has unveiled a new design, featuring a newly added forum, expansive video wall and Apple’s latest fixtures and displays. Apple hopes the redesigned store will be better suited to host the 60 new Today at Apple sessions, the company’s platform of in-store creative sessions, arriving soon around the world. Hoorsenbuhs (Main St.) – Hoorsenbuhs, the American fine jewelry house and lifestyle brand, has opened its first store in Santa Monica, within a 5,000 square-foot, two-story space, that also houses its atelier, headquarters and events space. The by-appointment-only studio, designed by founder and creative chief Robert Keith, features the newly launched luxury eyewear collection that utilizes luxe materials such as 24-karat gold and sterling silver. MUJI (Downtown Santa Monica) – The largest MUJI store on the West Coast has opened on Third Street Promenade. Spanning 10,494 square feet over two floors of retail space, the location features one-of-a-kind elements, including a bespoke embroidery station and the Re-MUJI collection which repurposes archived pieces from past collections by recycling and re-dying the clothing in three shades of Japanese indigo, breathing new life into MUJI classics. NWLA Bridal (Montana Ave.) – The American sister shop of Canadian bridal and dress boutique, NWL dresses, this new shop on Montana Avenue provides an intimate and one-on-one dress shopping experience. The shop carries gowns by a range of couture brands, like Atelier Pronovias and Paloma Blanca. To give clients a memorable experience, only one bridal party is allowed into the store at a time, ensuring the bride and her guests have the boutique to themselves to dream, plan and dress. Fairmont Miramar Hotel & Bungalows (Wilshire Blvd.) 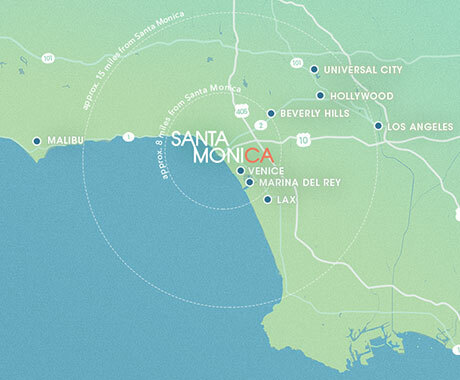 – The luxurious Fairmont Miramar Hotel & Bungalows is now offering a “Dog Be with You” package. The hotel’s four-legged guests will experience the ultimate pampering, from deluxe accommodations to special amenities, making them feel right at home. Upon arrival, pups are greeted with an all-natural Luscious Liver dog treat to welcome them to their Santa Monica home. The offering also includes a hotel-monogrammed plush dog bed, signature dog toys and daily in-room breakfast for both pets and owners. This package is available now through December 31, 2019. Shore Hotel (Pier/Ocean Ave.) – The eco-friendly Shore Hotel has partnered with LATHER skincare to offer a Deep Sleepover Package. Celebrate wellness in the New Year by booking a heavenly stay by the beach starting at $329 per night. Guests who book a stay through January 31 will receive a Sweet Dream Kit, the newest addition to the LATHER family of products, including a Quiet Night Pillow Mist, Quiet Night Relaxing Balm and a Silky Eye Mask. Shutters on the Beach Hotel (Pico Blvd.) – The luxury seaside Shutters on the Beach hotel has launched a seasonal winter treatment at its celebrated ONE Spa. Guests can experience the ultimate new year’s revitalization with the ONE Spa’s vanilla passion fruit facial, an Oxygenating facial combing vanilla and passion fruit extract and a boost of minerals. The Georgian Hotel (Pier/Ocean Ave.) – The Georgian Hotel, the charming art deco hotel located on Ocean Avenue, is holding its annual Winter Beach Sale. 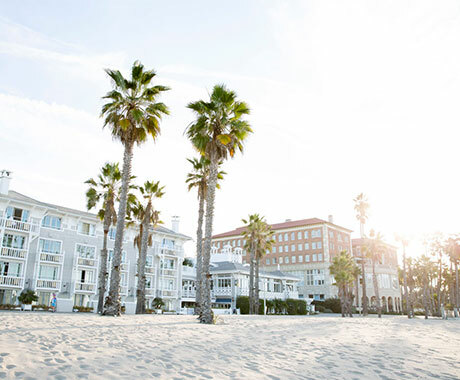 Treat yourself and your loved ones to an exclusive beachfront getaway in Santa Monica and receive 25 percent off your stay, now through March 31, 2019, with promo code WBS at booking. Website exclusive offer, subject to availability. Amp Association (Pico Blvd.) – Amp Association, a functional training environment offering class-based workouts, has opened on Pico Boulevard. Co-founders Ahnna McDevitt and Alex Hope relocated from London to open Amp Association, bringing with them their expertise from experiences at gyms all over the world to positively affect fitness enthusiasts. Aimed at people who want to take training to the next level, the facility offers each new gym-goer a 1-on-1 session to check out the space, meet their coach and start taking steps towards achieving tailored goals. To celebrate their official opening, new clients can receive two weeks of free training for themselves and a friend. LA Marathon (Pier/Ocean Ave.) – Gather along beachfront Ocean Avenue to cheer on 31st annual Skechers Performance Los Angeles Marathon participants as they cross the finish line in Santa Monica on March 24, 2019. The LA Marathon, established in 1986, is one of the largest marathons in the country with more than 25,000 participants and thousands of spectators each year. Pharmaca Integrative Pharmacy (Montana Ave.) – Pharmaca Integrative Pharmacy, the nation’s first and largest chain of integrative pharmacies, has opened a new location on Montana Avenue. Pharmaca’s innovative model features a full-service pharmacy, prescription compounding, specialty medications and in-store immunizations as well as a curated selection of high-quality vitamins and supplements, natural and organic beauty products and guidance from an expert team of more than 300 licensed health care practitioners. Santa Monica Travel & Tourism’s Street Art Guide – Santa Monica is an arts and culture hub, home to over 100 street art murals all within its 8.3 square miles and eight neighborhoods. The murals are brought to life by a combination of different entities from the City of Santa Monica, local business improvement districts, private groups and people as well as Beautify Earth. Santa Monica Travel & Tourism is proud to announce it has launched a comprehensive digital guide of street art murals in Santa Monica. Explore the 98 murals located throughout the City here. Annenberg Community Beach House (Pier/Ocean Ave.) – The country’s only public beach house offers a rotating exhibition program to showcase the work of local artists, artist groups, photographers, and curators. The current artist in residence is Wally Rudolph, a multidisciplinary artist and diversity advocate. During his residency, Rudolph is working on a new novel, The Ox, The Horse & The Boar. He will also hold open office hours and present a series of public conversations on the theme of creating art in times of strife. Big and Tiny (Ocean Park Blvd.) – Big and Tiny, an all-family learning and co-working space, has opened on Ocean Park Boulevard with the mission to support and empower the vibrant community of parents so they can balance their personal and professional lives. The integrated space accommodates both the big and the tiny, providing a variety of developments an educational classes, seminars and events as well as a wide range of amenities including high speed internet, printers, sound proof phone booth and an outdoor area. Big and Tiny offers custom memberships so that clients can build their own plan from 2 to 4 hours a day, 1 to 5 days a week. Fireside at the Miles (Downtown Santa Monica) – Fireside at the Miles, an annual series of performances held at the Miles Memorial Playhouse, returns for its 10th season of intimate music, dance, storytelling and more. Visitors and residents are invited to sit back, relax and enjoy the cozy performances in front of an open fire in Santa Monica’s historic Miles Memorial Playhouse. The eclectic cultural presentations transform Spanish Revival-style playhouse into a large living room with performances on Friday and Saturday nights January 11, 2019 through February 23, 2019. 18th Street Arts Center (Mid-City) – 18th Street Arts Center, a nonprofit arts center offering one of the top 20 artist residency programs in the U.S., presents new winter exhibitions featuring LA-based artist Clarissa Tossin, ​Copenhagen-based visiting artist ​Maj Hasager,​ and Berlin-based artist ​Stephanie Keitz. ​A closing reception for ​Keitz’s ​Doubts About Spaces will be held on February 16. The exhibition reception for Tossin’s ​21st Century Wisdom: Healing Frank Lloyd Wright’s Textile Block Houses and Hasager’s ​Iterations is February 23. At the event, three visiting Danish artists will be opening their studios and eight local artist residents will be showcasing new work. Latin Food Festival (Pier/Ocean Ave.) – California’s largest annual Hispanic culinary celebration, Latin Food Fest, takes place March 29-30, 2019 on the world-famous Santa Monica Pier. The seventh annual action-packed line-up features a kick-off party “Chefs Night Out,” an ultimate “Gran Tasting,” and live music by La Junta Sound System. Lunar New Year Celebration (Downtown Santa Monica) – Santa Monica Place commemorates the Year of the Pig with its annual Lunar New Year celebration on February 2, 2019 from 2 p.m. to 6 p.m. in the Center Plaza. Hosted by comedian Paul “PK” Kim, the celebration will feature cultural performances and activities such as the traditional Chinese lion dance, Korean fan dance, stilt walkers, traditional dough artist, balloon twister, live folk music, New Year’s wishing trees and family-friendly arts and crafts.